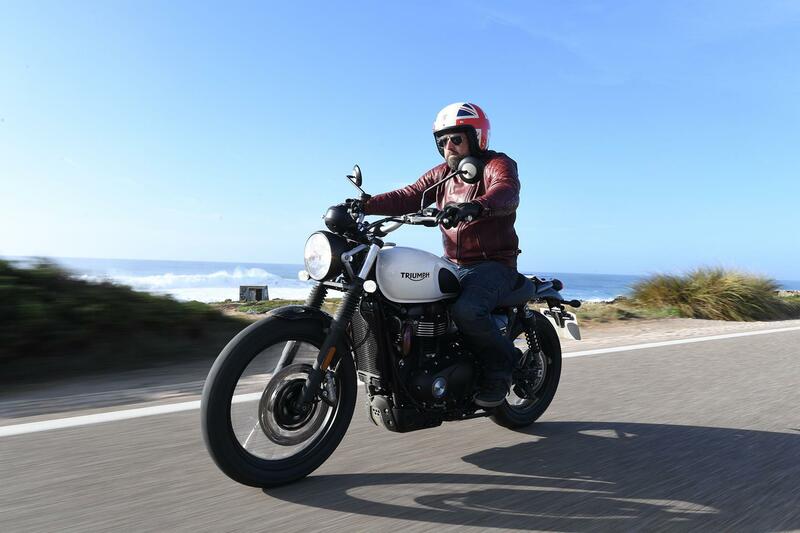 We personally favour the Triumph Street Scrambler over the 2019 Street Twin, and would reach into our pockets a little deeper to match its slightly more expensive price-tag. We prefer the off-road looks, stance and feel. It also feels more planted, grown-up and purposeful. The specific off-road mode and riding characteristics give the Scrambler a wider appeal, too; road or dusty track to the local pub this evening? 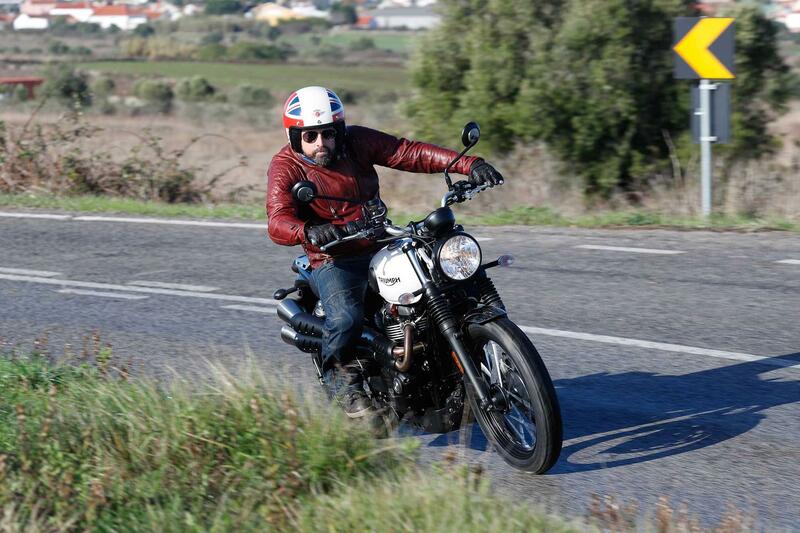 The 19in front wheel, slight increase in weight and higher riding position slightly slows the steering down compared to the Street Twin, which benefits from a traditional 18in front wheel. That said, it’s still manageable, easy-to-ride and I personally prefer the taller, purposeful riding position. The wide bars also allow you to throw it around with ease and the Metzeler Tourance rubber is confidence inspiring in the wet or dry. 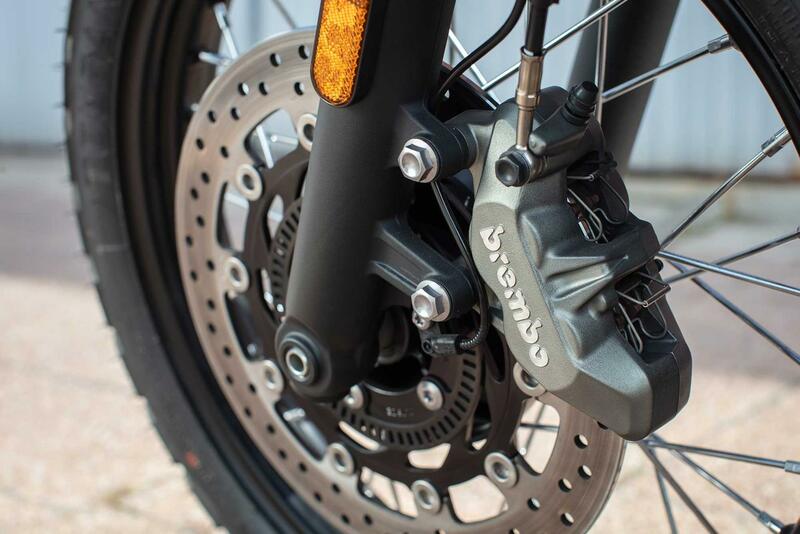 The new Brembo brakes give the retro, Thailand-built off-roader increased stopping power, without being intimidating. The old (2017) 900cc was a little gutless, and could never have been described as exciting. However, that has been rectified with an 18% increase in power - up from 54bhp to 64bhp. The upgraded engine revs quicker and 500rpm higher, thanks mainly to lighter internals. Peak torque icomes low-down in the revs at only 3200rpm. The result of this alteration is a bike that pulls stronger in the middle and feels more alive underneath you. There’s a significantly more torque throughout the rev range, which is noticeable from 3500rpm onwards. The water-cooled parallel twin is smooth, effortless and with perfect fueling; it will pull from just above tickover in the first four gears with ease and town work is a doddle - thanks to a one-finger-light clutch and a smooth, but purposeful gearbox. Reliability shouldn’t be a problem as the motor is based on the previous model (2017 version) with lighter internals. Service intervals remain at 10,000 miles. With a launch price of £9300, the new Scrambler is £1200 more than the base Triumph Street Twin, which it’s heavily based upon. 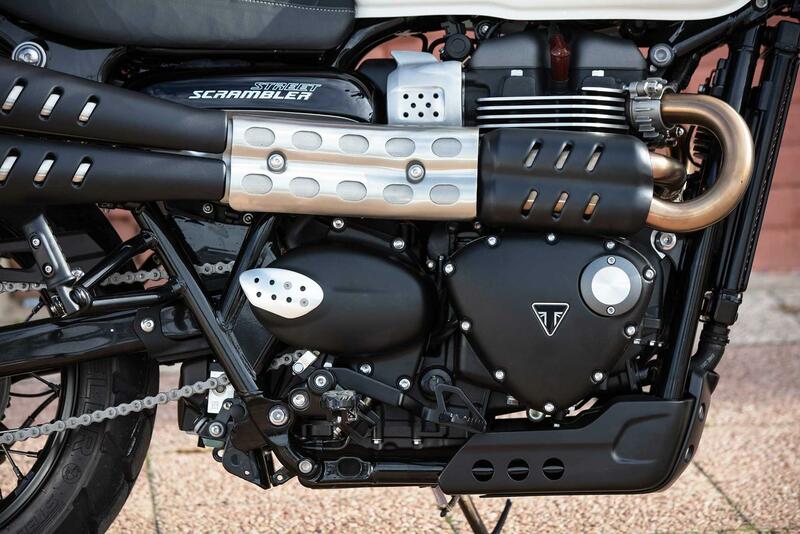 But, prices are on par with the competition for the Hinkley designed Triumph, which is actually built in Thailand. 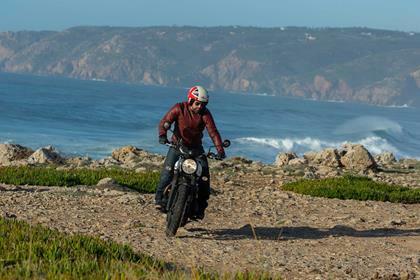 The new 2019 Street Scrambler’s beautiful looks, character, and accessibility have all been developed to make it brilliant fun to ride, around town, out of town or on green lanes and gravel tracks. Follow the link in our bio to find out more. New 'rain' and 'road' rider modes change the throttle map and the level of traction control intervention to suit the weather conditions. What's more, the Scrambler gets an additional off-road mode, not found on the Street Twin. Both ABS and TC are automatically deactivated in the off-rode mode, which can only be activated at a standstill. 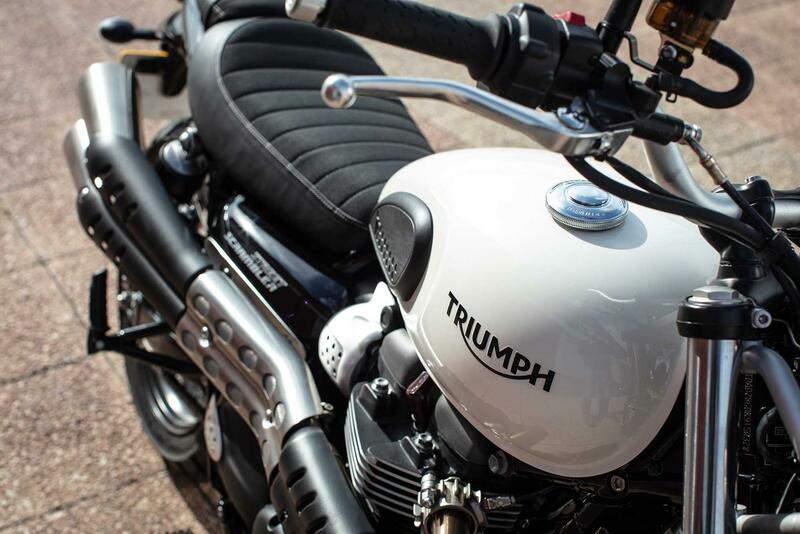 The Triumph Street Scrambler was first launched in 2017. Read about the 2019 Triumph Street Twin in MCN bike reviews today. 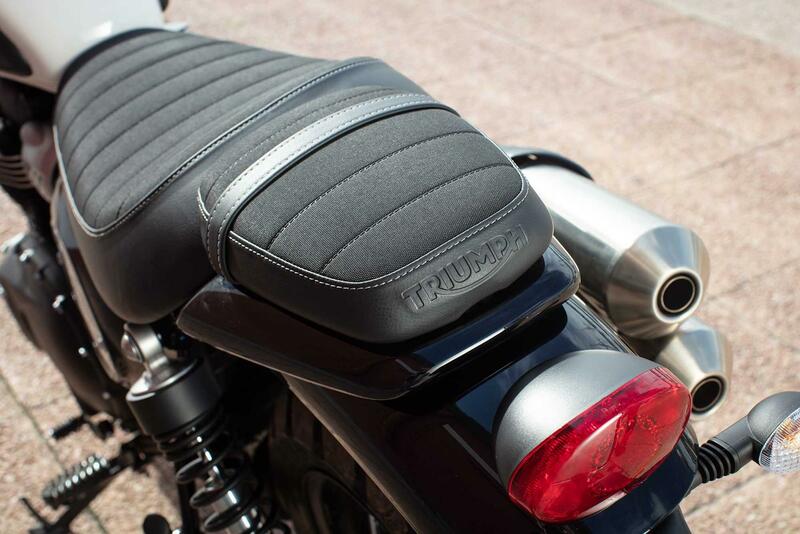 No owners have yet reviewed the TRIUMPH STREET SCRAMBLER (2019-on).